Mini Split HVAC systems are great for heating and cooling and are very versatile able to be fitted into most any space. Besides picking the right mini split manufacture how big a unit is needed also needs to be considered. This is easy to do by calculating the square feet of the space to be maintained. To get the square feet of a room measure the length by the width and multiple the two together. 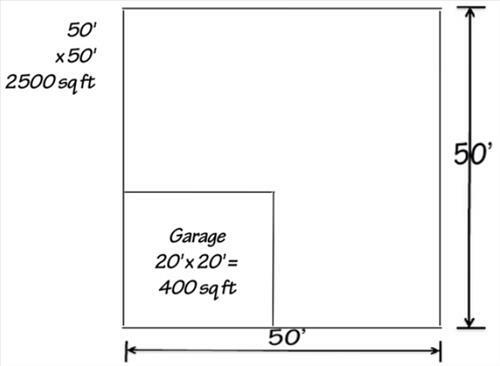 For example a room that is 20 feet long by 20 feet wide would be 20 X 20 = 400 Square Feet. If there are more rooms such as closets simply do the same and add them to the total. How well a home is insulated as well as the climate should also be considered. For example a home poorly insulated will need a bigger unit than a home that is well insulated. Climate should also be considered mainly in locations that extreme cold weather happens. Most any mini split will have no problems cooling a space in air conditioner mode but may have problems heating in extremely cold climates. Heat pump mini split units that both heat and cool reverse the air conditioning mode to heat during the winter. This means they pull heat from the surrounding air which becomes more difficult as the temperature drops. Most modern units will have no problems down to 10-20 degrees Fahrenheit but will start to struggle if the temperature gets much colder. If the outside temperature becomes too cold the outside condensing coils will freeze up with ice. When this happens a Heat Pump unit will go into what is called defrost mode. Defrost mode is basically turning the air conditioning on to melt the ice off the outside coils. Once the ice is melted off defrost mode will turn off and the unit will start heating again. Often when it becomes very cold heat pumps will cycle between heating and cooling. For example if you live in Alaska you will have no problems cooling in the summer, but the heating will stop once the temperature drops too much. If you live in Nevada, Arizona, or Texas it will have no problems heating or cooling with heat pumps ideal for climates such as the American Southwest. I’m considering a Mrcool mini split for my double garage. I live in San Francisco East Bay Area and my garage faces South-West. It’s under 500sf with 8 ft ceiling. The sumner temp can reach up to 110 F and we have fair insulation in the garage. I’m wondering if a 12000btu unit will be effective enough for the space. Yes, a 12000 BTU unit should cool the space nicely.